Propose new featured articles, or propose the text for the next accepted featured article here. The Kitins' Lair is the high-end zone of the game: The place that was designed to have the most evil creatures and be suicide to all but the most powerful players. It's also the newest zone, only having been implemented in December 2009. Recently something is stirring in the Kitins' Lair, and the latest Event Chain is focussed around finding out just what. The Lair houses various bosses, two rites, and 4 of the 8 occupations take place mostly inside the Lair... Read more. Mateis is the language spoken by the Matis. The name of the language is derived from the Mateis word mate which means speech. The Matisian language makes use of mostly soft sounds. There are very few double consonants, and many vowels and diphthongs. There are very few hard sounds such as t and k, which are reserved for words that have an often negative or unpleasant connotation, or sometimes to convey importance or superiority. For example, the former use includes "Kterhos", which means "Fyros" and, containing 3 hard consonants, is considered one of the harshest words in the Matisian language... Read more. 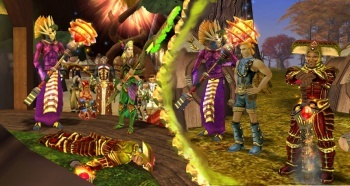 Events are one of the highlights of Ryzom, as the story of Ryzom is not driven by quests as in most MMOs, but through life events. Player participation determines the outcome of events, allowing players to take part in shaping the history of Atys. If you've missed any events, you can read up about them in the Event Log. Not all events advance the story, sometimes there are also OOC events which fall outside the lore of Ryzom. 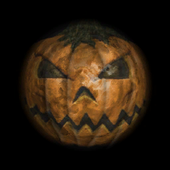 These events are usually to celebrate some Real Life event, like Halloween or Christmas. For example, the latest event to be held was the Atysmas 2010 event which lasted two weeks. Read more about it here. 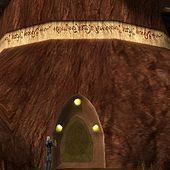 The player housing in Ryzom consists of apartments. Every player character can own one single apartment in one of the four capital cities. They are then able to furniture and decorate their apartment and invite other players in. New and unique apartment decorations are sometimes given out as event rewards. Additionally, apartments also serve as extra personal storage space. 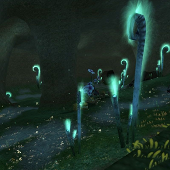 The application for furnishing and decorating your apartment, and inviting other players in, is called RyzHome. It was introduced on Monday, October 18th, 2010. 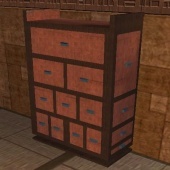 Different items will show up for sale in the RyzHome shop depending on which capital city your apartment is located in. There are also special apartment items which can be placed in apartments of any race. These items are given out at events and cannot be bought or sold... Read more. Not all events advance the story, sometimes there are also OOC events which fall outside the lore of Ryzom. 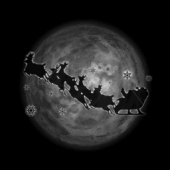 These events are usually to celebrate some Real Life event, like Halloween or Christmas. For example, the latest event to be held was Scream of Terror, the Halloween 2010 event which lasted a full weekend. Read more about it here. Occupations are a type of job, if you will, you can take. An occupation from what is currently known allows you to create all sorts of items, which mostly aid in helping regenerate an attribute of the player character. At any given time you can not take on more than three occupations and there is a two day cooldown before you can drop an occupation. In the event that you drop an occupation, the experience you had in that occupation will remain should you ever choose to take that occupation on again. At the moment there are 8 occupations in game, and it seems 4 of them are much easier and start out in the level 50 regions, while the other 4 are much harder and involve going into the Kitins' Lair right from the start. The easy ones are: Florist, Toolmaker, Water-Carrier, and Magnetic Cartographer. The hard ones are: Butcher, Medic, Scrollmaker, and Larvester. Occupations yield certain items which aid regeneration when consumed, among other things... Read more. The first Zoraïs were a mysterious group of people who lived in the ancient jungles in the region known as Zoran south of the river Ti-aïn. It is not known exactly when the Zoraïs settled in the area but it was probably somewhere between 2199 and 2205. The first Zoraïs set up camp in the jungle when a tribe of them came into contact with the Kami. Given to mysticism, the Zoraïs built up mysterious temple cities centered around the worship of the Kamis. The goo infested area the Zoraïs had claimed was not prized by other people and their civilization was able to quickly expand becoming a force to be reckoned with. Led by a dynasty of spiritual chieftains, they were able to annex jungle land easily fending off Fyros attacks on their impregnable temple cities… Read more. 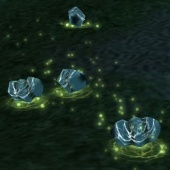 In Ryzom, crafting is a fascinatingly complex system, with many little oddities and facets of interest for those willing to be constantly baffled in the name of science. Player-crafted equipment is, without doubt, the best equipment available ingame - equipment sold on the vendors by NPCs, and even Bandit Lord loot equipment, pale in comparison. 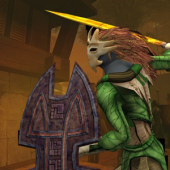 As such, crafting is central to Ryzom; no warrior or mage can get by without a good player crafted weapon or set of amps; and materials used in crafting are the main currency of the Ryzom economy. Large guild battles are fought in the most perilous corners of Atys, for the privilege of having first pickings of the most valuable crafting materials… Read more. This page was last edited on 28 February 2015, at 01:49.